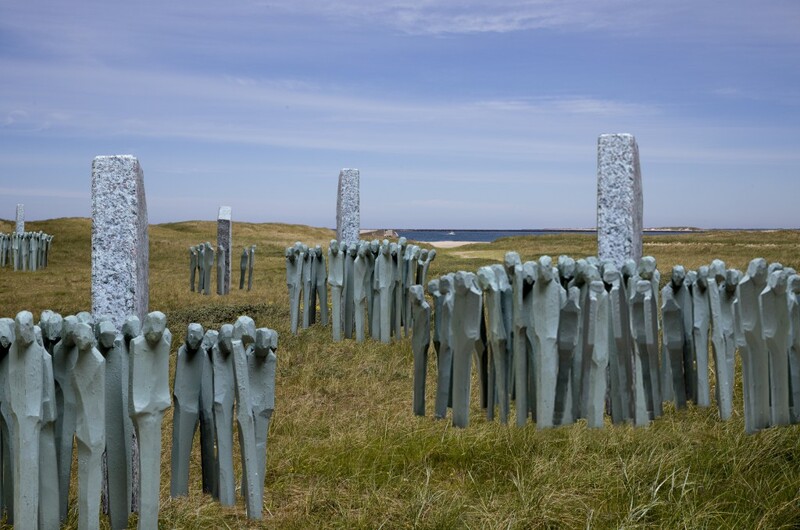 A lasting memorial to the fallen of the Jutland will be opened on June 1st 2016 on the shores of northwest Denmark, at Thyborøn, the site of the new Sea War Museum. 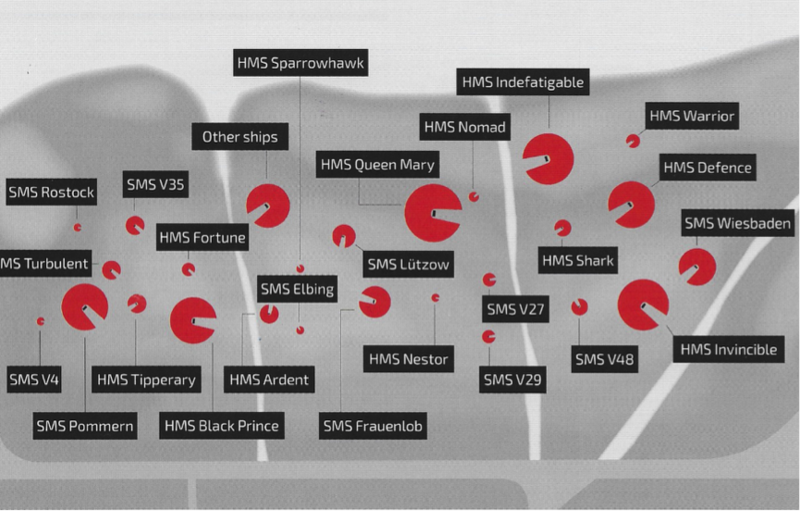 Twenty-five 3.5 metre high stone obelisks will mark each of the British and German ships that sank during the battle. A twenty-sixth will commemorate the more than 600 fatalities on other ships that survived the day. Around these massive pillars of remembrance will be eventually placed individual 1.2 metre stones. One for for each of the 8,645 men killed in the North Sea action of May 31st –June 1st 1916. One stone for each person lost in the battle. A hauntingly beautiful loneliness. An artist’s impression of the Jutland Memorial Park. It will be one way a descendant can preserve their ancestors’ memory for future generations. We are exploring ways for each stone to be digitally recognisable so that visitors will be able to access the stories with each stone. 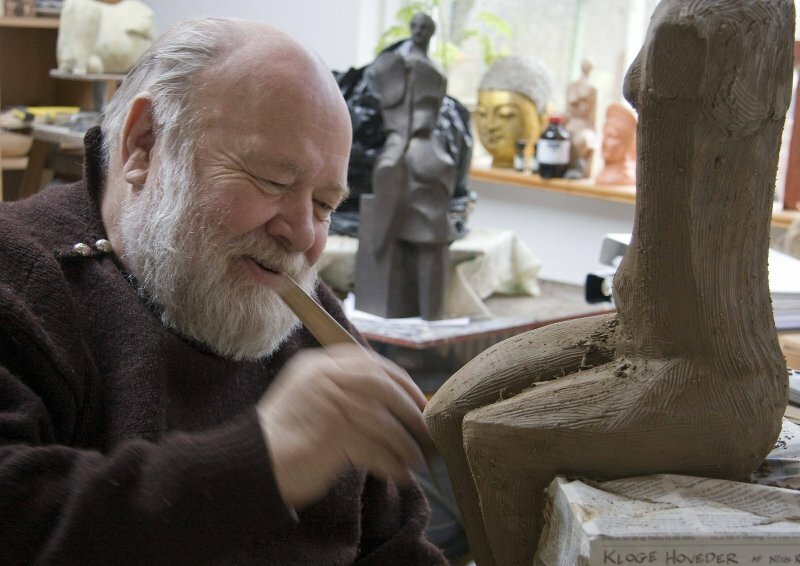 The Danish sculptor and artist, Paul Madsen Cerderdorff (born 1938) has created the designs for both the 3.5 metre high granite obelisks and the smaller 1.2 metre high stones for the fallen. 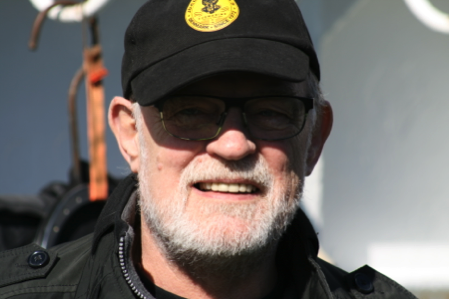 The memorial is the vision of Gert Norman Andersen, marine explorer and founder of the Danish Sea War Museum which opened in September 2015 and has already seen large numbers of international visitors. 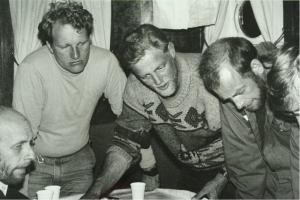 Gert has spent more than forty years searching the North Sea for wrecks, not only of the battle Jutland / Skagerrakschlacht but also of older naval, commercial and private sinkings. He was responsible for much of the archeological diving on, and salvaging from HMS Defence and HMS St. George. 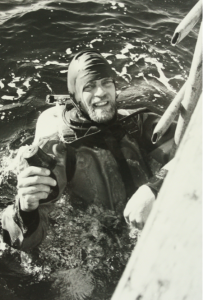 In 1972 he founded what has now become the largest industrial diving company in Denmark, JD-Contractor A/S with 120 employees and 11 vessels. We invite you to help in supporting the building of the Jutland Memorial Park. It can either be on an individual level with a a contribution of Euro 338 for an individual 1.2 metre stone. Or it can be for the sponsorship of a ship and its company. Or something in between. Further information and expressions of sponsorship interest may be sent to contact@jutlandbattlememorial.com. Denmark’s neutrality gives the Sea War Museum a very special freedom. It allows for a view on a great naval conflict without the blinding filters of national pride or propaganda. It tells the story without bias. There are no friends or enemies. No one person or nation is celebrated but history is remembered. It is passed on and the losses that both nations suffered is commemorated. 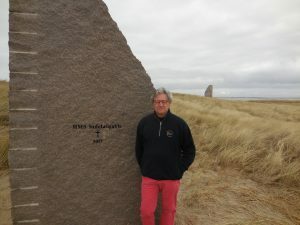 It is fitting that the memorial should be in Thyborøn. It was possibly the only place on land where the sounds of the battle could be heard on the day as they rumbled across the seas. It is a special place for the memory of those souls lost at sea. The museum itself tells the story of the naval war at Sea during the early twentieth century without bias. There are no friends or enemies. No individual is celebrated. But history is remembered and passed on to the next generation. 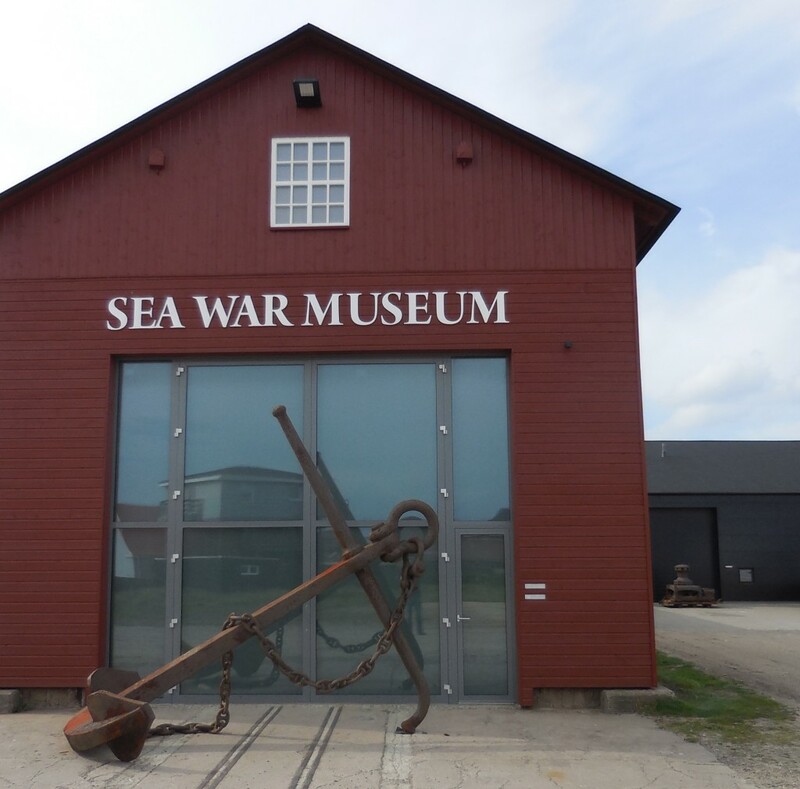 The new Danish Sea war museum was formally opened on September 28th 2015. It is operated by Gert Normann Andersen and supported by the Lemvig Municipality and the Realdania Cultural Architecture foundation. All of the 26 main stones – representing the 25 sunken ships and the other deaths on ships that survived the battle – have now been placed in an exact manner that conforms to how they have been found on the floor of the North Sea. Nick Jellicoe, visiting the stone commemorating the loss of HMS Indefatigable at the start of the battle of Jutland, at 16:02 on 31.5. 16.2016. The wreck of the torpedo boat, the V.4, has only just been found this year. 2016. This was the last piece of the jigsaw puzzle. The V.4. was found in the 2016 North Sea Expedition by Gert Normann Andersen and Dr. Innes McCartney.